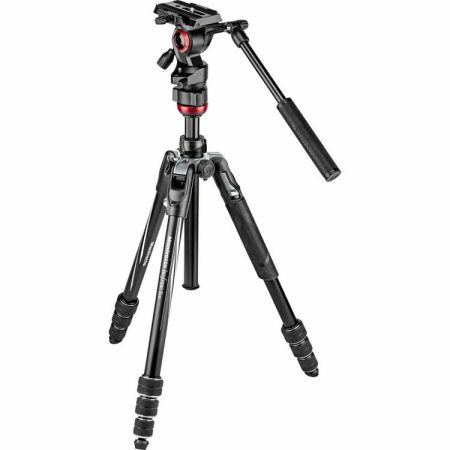 A compact support system designed for travelling and shooting on the go, the Manfrotto Befree Live Video Tripod Kit with Twist Leg Locks from Manfrotto is composed of sturdy aluminum tripod legs paired with a fluid video head and a quick release plate. 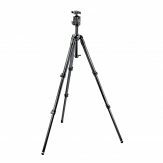 With a load capacity of 4 kg, the head offers fluid movement that is aided by separate pan and tilt locking knobs for precise control over your composition. Included with it is a pan bar and a sliding quick release plate, both of which are removable to help enhance its portability. 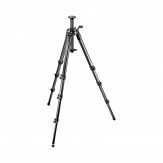 The legs reach a maximum height of 150cm with the column raised, and can be extended and secured in seconds thanks to the M-lock twist locks that engage with a simple 90° turn. The sliding leg angle selector is easy to reach and can be operated with a single finger, making adjustments significantly easier to perform. 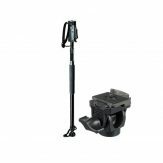 Found at the top is an Easy Link connector, which allows you to attach compatible accessories such as flashes or reflectors. 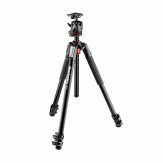 The Befree Live can be folded down to 140cm with the head removed, and attaches to any camera with either a 1/4″-20 or 3/8″-16 threaded screw mount.